THE eight-year-old girl who admitted being a witch in an audio recording uploaded on social media recently, is not attending school and is now living a secret life to avoid stigmatisation. A psychiatrist who evaluated her at the Oshakati Intermediate Hospital on 30 October described her as a victim of psychological and physical abuse who was told by her interrogators to confirm specific allegations or else have her head cut off. 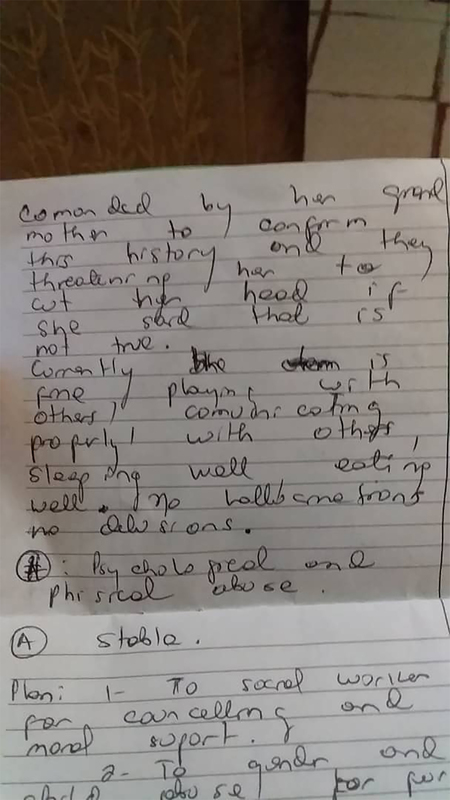 The psychiatrist detected no hallucinations and no delusions and said that the girl is “stable” and is playing and communicating properly with other children, as well as sleeping and eating well, but she needs counselling and moral support. The girl claimed in the 14-minute audio that she was trained as a witch by her own mother at Ongwediva. She also identified a number of her relatives as witches and boasted of being able to bi-locate and magically pass through concrete walls. She further claimed responsibility for the mysterious illness of several people. 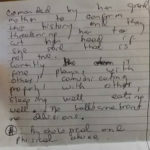 The girl, who was interrogated by her grandmother on her father’s side and the resultant audio recording uploaded on social media (allegedly by mistake) was a Grade 2 learner at a private school at the Helao Nafidi town, but a letter from the school revealed that she only attended classes from March to August. The audio recording attracted widespread attention and those identified as witches complained to the police. The girl was promptly picked up by social workers and eventually placed under the guardianship of a relative (her mother’s cousin). Speaking anonymously in an interview with Informanté this week, the guardian said that the girl is now living a secret life to avoid stigmatisation. She dismissing practically everything said in the audio recording as malicious slander. “The girl was taken from her mother in December 2013 when she was only three-years old. She was with her father and her father’s relatives for the past five years and never met her mother during that period. She did not even recognise her mother when she met her recently,” said the guardian. She further expressed disillusionment with the Namibian police. “We thought we did the right thing by reporting the matter to the police and to the Ministry of Gender Equality and Child Welfare instead of taking the law into our how hands. However, it seems that the police did not take the matter seriously,” she said. Police spokesperson Warrant Officer Abner Kaume Itumba said that the police’s intervention in the matter was limited to maintaining order because no criminal case was registered. “We only arrest people and conduct criminal investigations when there is a criminal case,” he said. He is said that the child’s guardians can still open a criminal case, thereby giving the police the mandate to investigate and arrest those suspected of child abuse.